Among the many promising aspects of the forthcoming wide-screen adaptation of J.G. 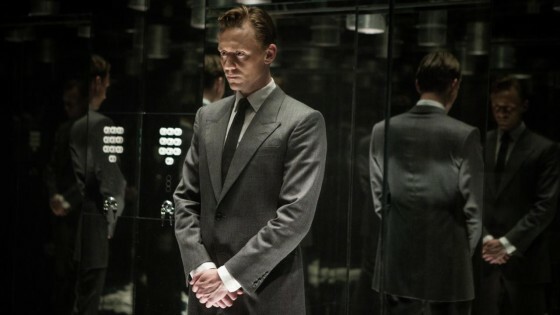 Ballard’s classic novel High-Rise is that it’s set as a period piece. The film unfolds in the fabulous, wide-collar, garishly colored 1970s, the same era during which the book, a 1975 publication, was released. That is unlike recent filmed versions of, say, Planet of the Apes, or The Fantastic Four, or Jason Statham’s take on one of Richard Stark’s Parker novels, just to list a few examples, all of which original works were endemic to the era in which they were produced, and then yanked into the future when filmed. With the new High-Rise, there’s no adjusting to today’s surveillance-media reality, no evocation of how 9/11 rewired America’s brain, no consumer-grade Internet, and no smartphones — all of which could easily lend themselves to Ballard’s urban fable of consumer convenience. The book is a characteristically harrowing Ballardian story in which the violence that humans do to each other, this time in a concrete and steel vertical manifestation of class differences, somehow manages to mask an even darker and deeper potential for violence. The more we play dress up, the more the animal in us, the animal that we are, comes alive. Clint Mansell (Black Swan, Stoker, Requiem for a Dream) has provided the score to the adaptation, directed by Ben Wheatley and starring Tom Hiddleston, and judging by the first public track, “Cine-Camera Cinema,”it may be a willfully anachronistic act of underscoring — or maybe not. (One of the characters, played here by Luke Evans, is a documentary filmmaker, and “cine-camera” is the term in the novel for his equipment.) The piece is deeply subdued, chanting heard behind an enticing scrim of undulating drones. It has none of the symphonic grandeur of 1970s movie scores, nor the swagger of rock music at the time, though what sound like whistling does bring to mind Ennio Morricone’s westerns. Then again, the post of the track on SoundCloud quotes the Hollywood Reporter’s description: “a lustrous retro-classical score.” So, perhaps the music will be as era-specific as Tom Hiddleston’s lapel. Either way, this excellent first taste of Mansell’s work sets expectations high. Track originally posted at soundcloud.com/silvascreen.